Josemaria Escriva was born in Spain on January 9, 1902 and died in Rome on June 26, 1975. On 2 October 1928, by divine inspiration, he founded Opus Dei. 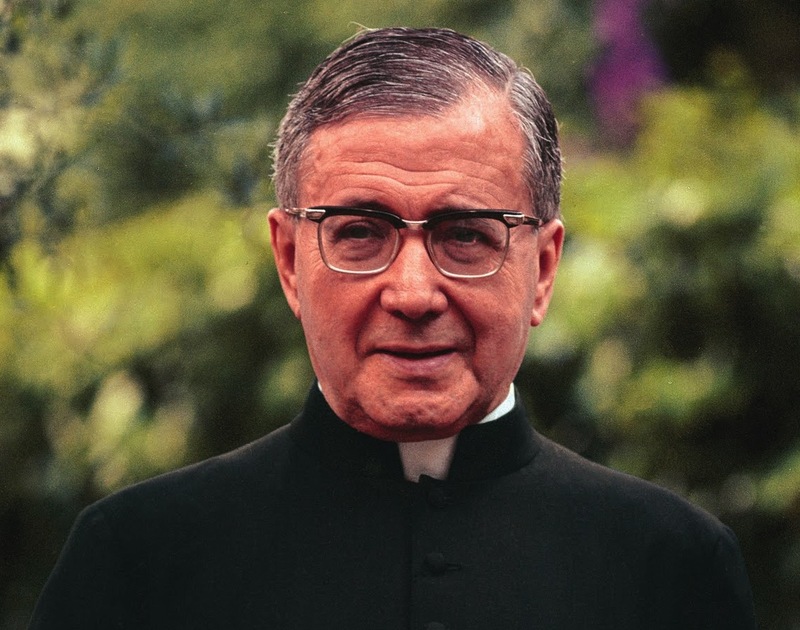 Saint Josemaria Escriva was born in Barbastro, Spain, on 9 January 1902. He was ordained to the priesthood in Saragossa on 28 March 1925. On 2 October 1928, by divine inspiration, he founded Opus Dei. Saint Josemaria Escriva was born in Barbastro, Spain, on 9 January 1902. He was ordained to the priesthood in Saragossa on 28 March 1925. On 2 October 1928, by divine inspiration, he founded Opus Dei. On 26 June 1975, he died unexpectedly in Rome in the room where he worked, after a last affectionate glance at a picture of Our Lady. Opus Dei had by then spread to five continents, with over 60.000 members of 80 nationalities, serving the Church with the same spirit of complete union with the Pope and the Bishops which characterised Saint Josemaría. His Holiness Pope John Paul II canonised the Founder of Opus Dei on 6 October 2002. His feast is celebrated on 26 June. The body of Saint Josemaría rests in the prelatic Church of Our Lady of Peace, Viale Bruno Buozzi 75, Rome. It may seem surprising that a little thing like some footprints in the snow was enough to make a teenager take the great decision to give his life to God. But that is the language God often uses to call people, and that is how generous souls who seek God sincerely are capable of responding, with faith. Among the poor, the sick, and the children, he sought the strength needed to set in motion the immense project that God had placed on his shoulders that day. It was a school of suffering where his soul would be tempered to its mission. “I was 26, had God’s grace and good humor and nothing else. And I had to do Opus Dei”. He was doing a retreat during these first few days of October. 1928, 1929, 1930… St Josemaria had to fulfil God’s will, but had no trained assistants, no money, and no patrons. After escaping to the other side of Spain and staying briefly in Pamplona, St Josemaria settled in Burgos. From there, in conditions of great deprivation, in a country devastated by war, he carried out an intense apostolate. “I began to give many, many retreats — they used to last seven days at that time — in a number of Spanish dioceses. I was very young and it embarrassed me." Christ, Mary, and the Pope had always been the great loves of his life. And now at last he was there, very close to the Vicar of Christ, on the night of June 23-24, 1946. Hence the Father’s joy when he discovered the canonical way for married people to join Opus Dei. Between 1946 and 1960 Opus Dei began its apostolate in several new countries, including Portugal, Italy, Great Britain, France, Ireland, the US, Kenya, and Japan. These were years of physical suffering. The Father’s diabetes was the cause of great discomfort: he lived with a constant headache, suffered chronic thirst, and gained too much weight, in addition to the other problems that can arise in connection with this illness. On October 2, 1928, St Josemaria had seen that Opus Dei was for all kinds of people. St Josemaria decided to put his shoulder to the wheel in the task of strengthening people’s faith. Starting in 1970, he went on long catechetical trips to various countries around the world. On June 26, 1975, at 12 noon, St Josemaria died in his office. The news of his death traveled quickly round the world.